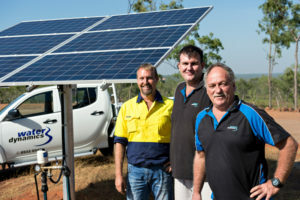 Water Dynamics Darwin is well respected in the irrigation industry in NT, having provided well-rounded irrigation solutions for over 30 years to local and rural customers. From complex commercial irrigation systems through to home irrigation systems and service, we have all of your irrigation needs covered. The Darwin team includes a blend of product experts, certified irrigation designers and installers with Certificates 3 and 4 in Irrigation, certified installers electricians, and certified fitters and turners. Our staff are very well known in the industry and some have previously owned and operated their own landscaping and irrigation businesses. They pride themselves on good old-fashioned customer service so you know you’ll get the personal attention you’re looking for. 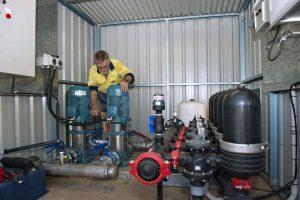 Water Dynamics Darwin work with local councils to protect water quality and minimise water consumption in public spaces including parks, reserves and fields. Our expertise, equipment and certified irrigation technicians give us the ability to conduct high-quality irrigation audits on current systems to show you how they can be improved. We help you implement the right irrigation practices based on the topography and water source of the particular site to ensure the most efficient system is employed. We’ll also suggest strategies for sustainably harnessing groundwater and storm water for irrigation on larger parks and reserves. 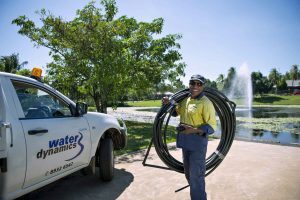 Not only does Water Dynamics Darwin specialise in large commercial government projects, we also specialise in irrigating homes and gardens. We are focused on helping homeowners achieve a healthy lush lawn whilst also reducing water usage and saving you valuable time and effort. Unlike other suppliers, our team is on hand to repair and service domestic irrigation systems too. We repair all types and brands of irrigation systems – sprinklers, drip and micro. We provide troubleshooting services for damages caused by lawn mowers, leaks, broken or clogged sprinklers and more. 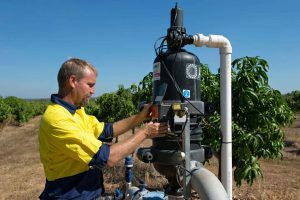 Water Dynamics Darwin also conduct irrigation system maintenance checks to ensure your garden doesn’t suffer during the dry season. We provide a range of maintenance services to ensure your irrigation system is working all season long. In store we provide a range of products from industry leading brands such as Grundfos, Davey and Netafim, available at competitive prices. Click here for more information on Darwin’s residential services. The team at Water Dynamics Darwin have in-depth knowledge across all agriculture markets and are familiar with challenging environmental conditions that affect the quality of harvests. We work closely with a range of farmers who specialise in horticulture and broadacre crops, to ensure their irrigation systems and design drives consistent and quality produce, in the most cost effective means possible. Our team can help you with every stage of your irrigation planning and implementation. We’ll conduct a detailed site audit, supply the right equipment to meet your needs, install your equipment according to exact standards to ensure performance and longevity, train your staff and look after your maintenance needs into the future. We are proud members of the Northern Territory Cattleman’s Association. Our custom pump test facilities are able to accurately diagnose pump issues, allowing our service technicians to troubleshoot more efficiently and effectively. We also stock a large range of spare parts, including aftermarket spare parts, to assist in emergency situations. Our services don’t stop at supply and installations. 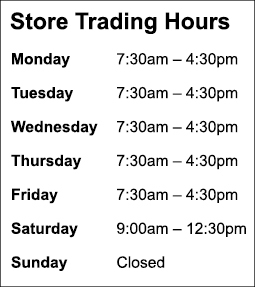 Unlike other irrigation stores, Water Dynamics Darwin are on hand to repair, service and maintain irrigation systems to ensure they are working efficiently all season long. We have a fleet of service vehicles and experienced service technicians able to customise a preventative maintenance program to suit the specific needs of your business. We repair all types and brands of irrigation systems – sprinklers, drip and micro.